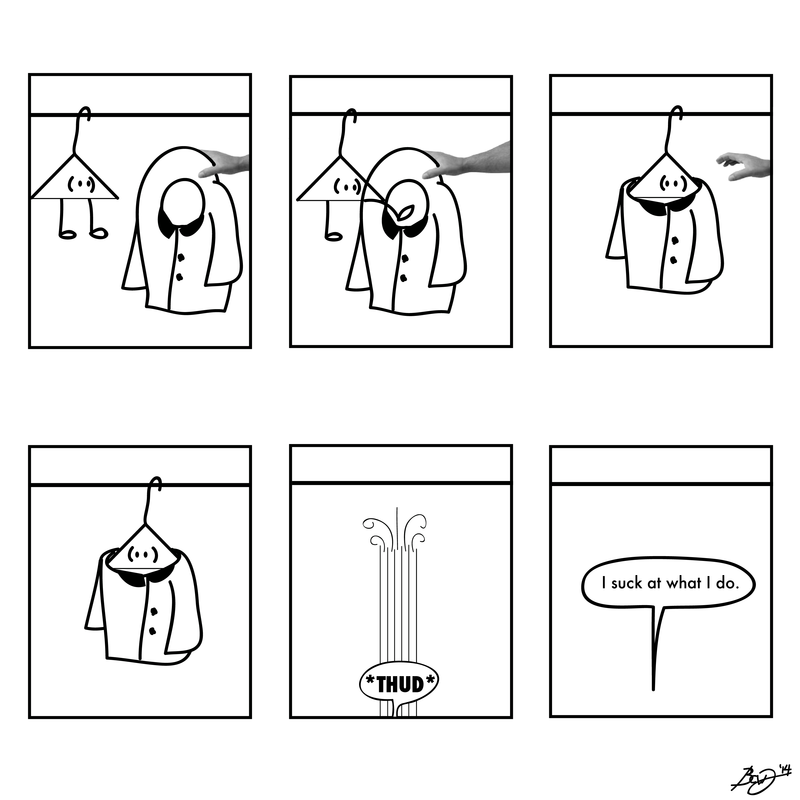 Image | This entry was posted in Uncategorized and tagged cartoon, cartoons, coat checkers, coat hangers, comic, comics, sucking, webcomic, webcomics, work. Bookmark the permalink. He tries to hang in there, but it’s hard.